Degree of difficulty: I consider Gem Lake Moderate, after the floods I think there are many more strenuous parts. 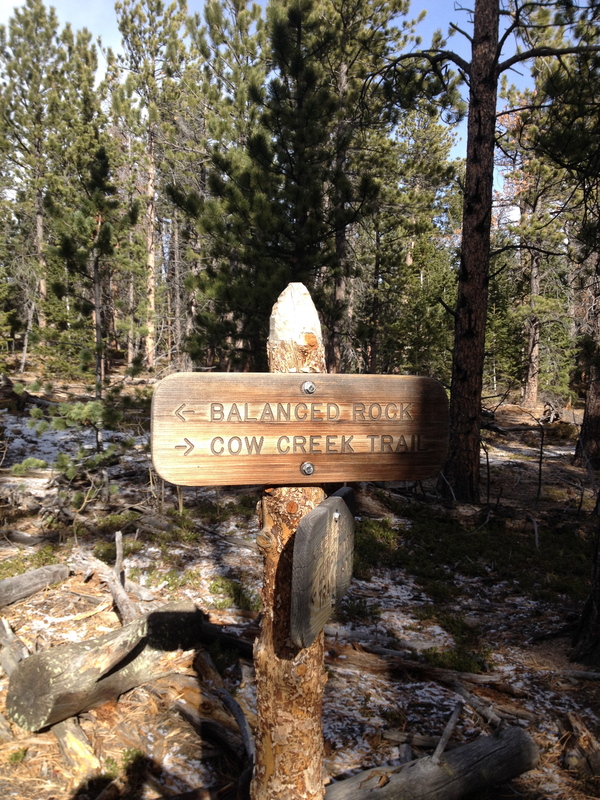 If you are going to Cow Creek I think difficult would make sense with all the ups and downs and distance. 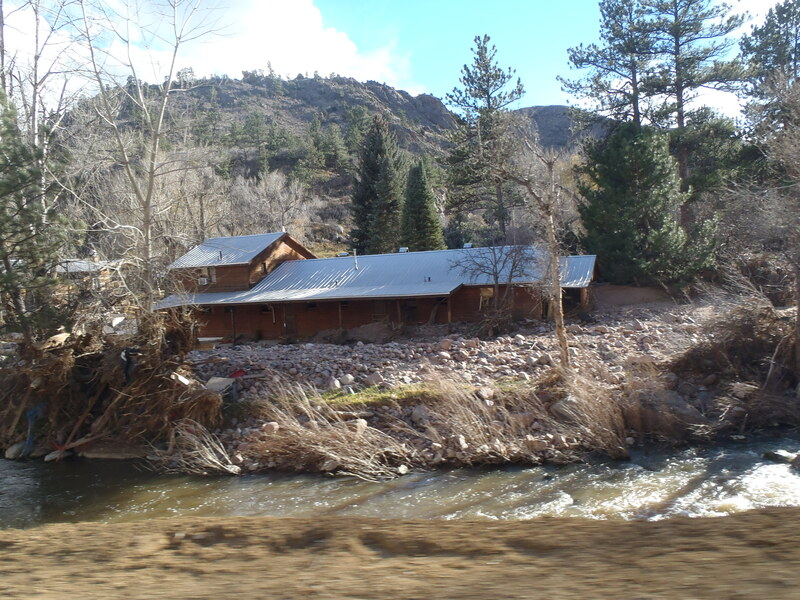 It had been just over 2 months since those devastating floods hit so much of our front range and no where was harder hit then Lyons as well as the most of the ways in to Estes Park. I have been reading about the recovery and the how desperate things are in those hard hit communities for small businesses. The amazing part is how quickly CDOT has managed to repair so many major arteries helping to get tourism back as quickly as possible, but for some businesses it is already too late. 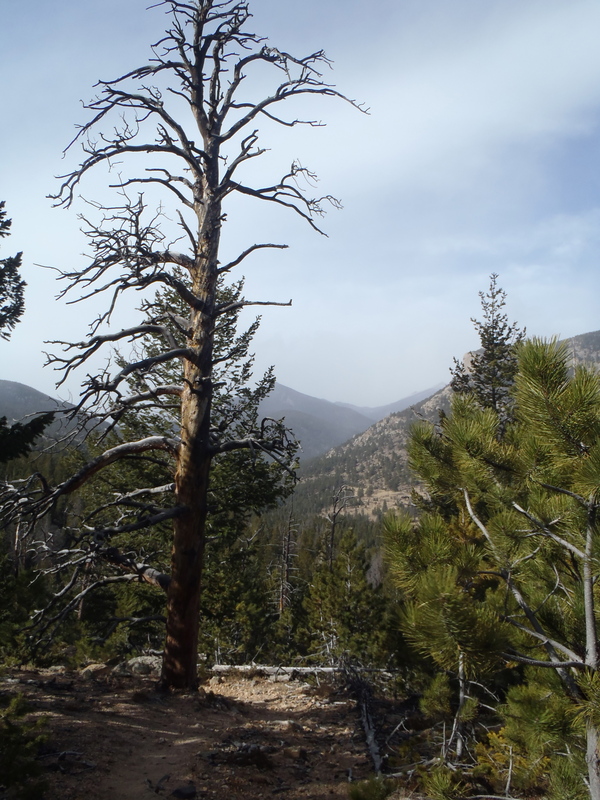 That is why on this particular weekend I searched long and hard for a hike near both Estes Park and Lyons so that we could spend some money in each town trying to help out where we could. What I didn’t expect was how hard it would be to find a trail we could get too that hadn’t been obliterated in parts or in total. 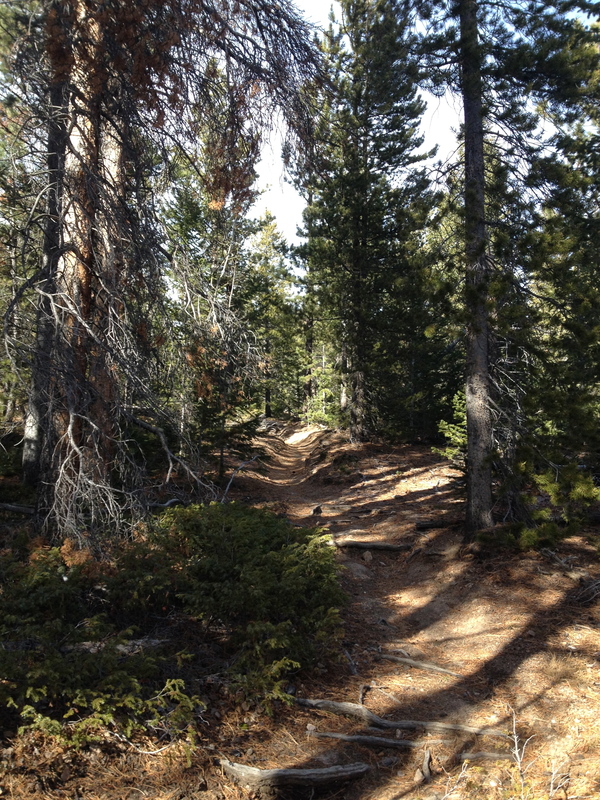 Finally at 10:30 the Friday night before I saw that the Gem Lake/Lumpy Ridge Trail system was intact and not just the trail but the roads to get there was all open too. I had wanted the trail to be more challenging but I also knew that I had a girls hike on Sunday so it was worth it just to get up there and spend some money in those towns. The weather forecast wasn’t that great either, we had a small window before a nice snow storm hit Estes Park and a huge wind warning went into effect. We maybe had until 2 when we left our house. 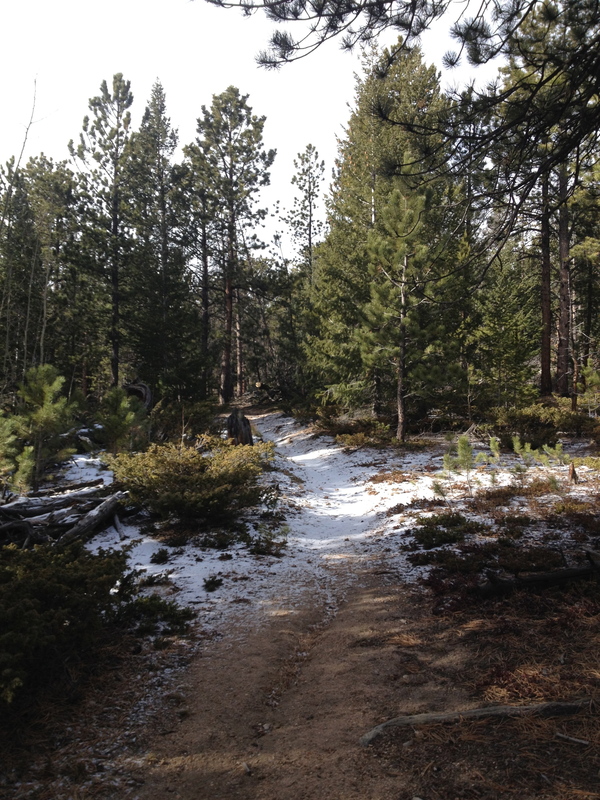 When we got to the trailhead it was already snowing and the wind was whipping up pretty good at 8AM. But it was also so beautiful being both sunny and snowing with almost no cars in the parking lot – we took off. 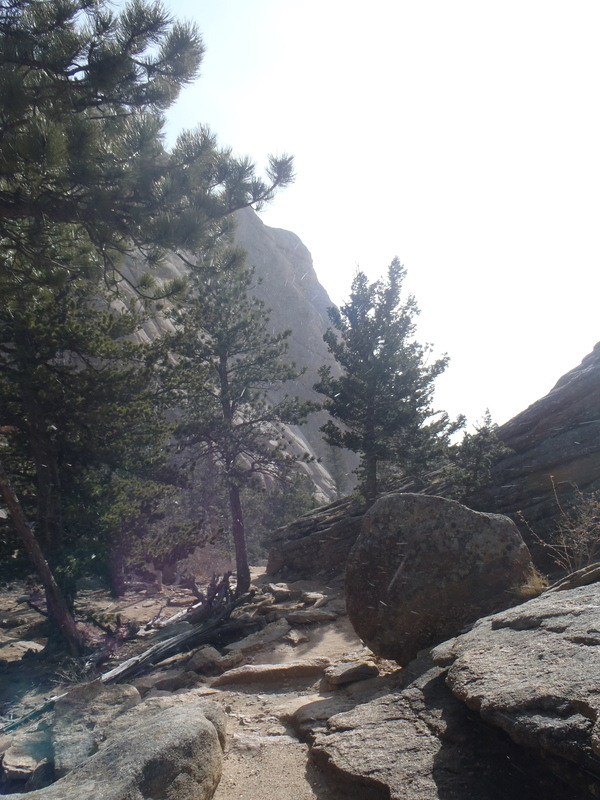 The trail has taken quite a bit of damage from the floods but was still hike-able, although RMNP had put up “hike at your own risk” signs at the beginning. We flew up the Gem Lake trail, when we got to the lake itself the wind was so hard it pulling off drops of water off the lake, turning it to ice which was pelting us as we walked by. It was so fun to watch, not so great to walk through. 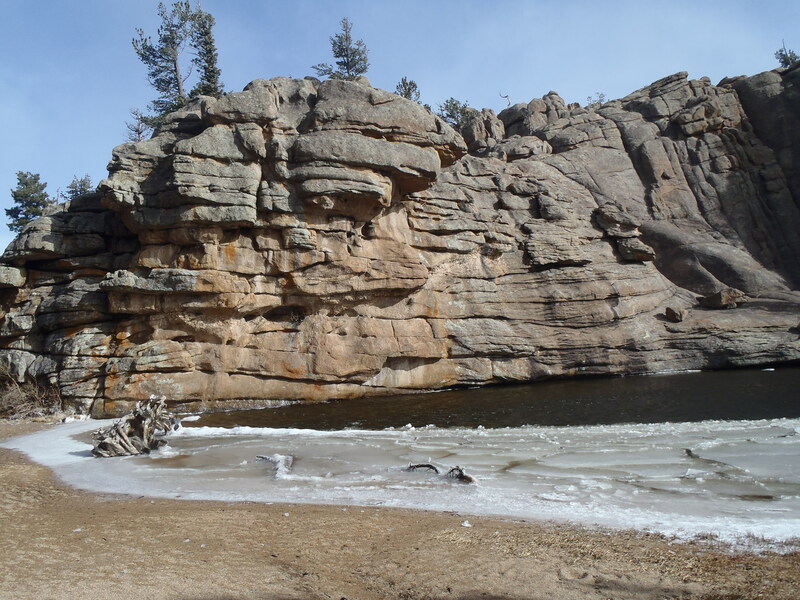 We went right past the lake to the next section of trail starting our long journey down to Cow Creek , what we didn’t expect was how flipping cold that wind would make everything. 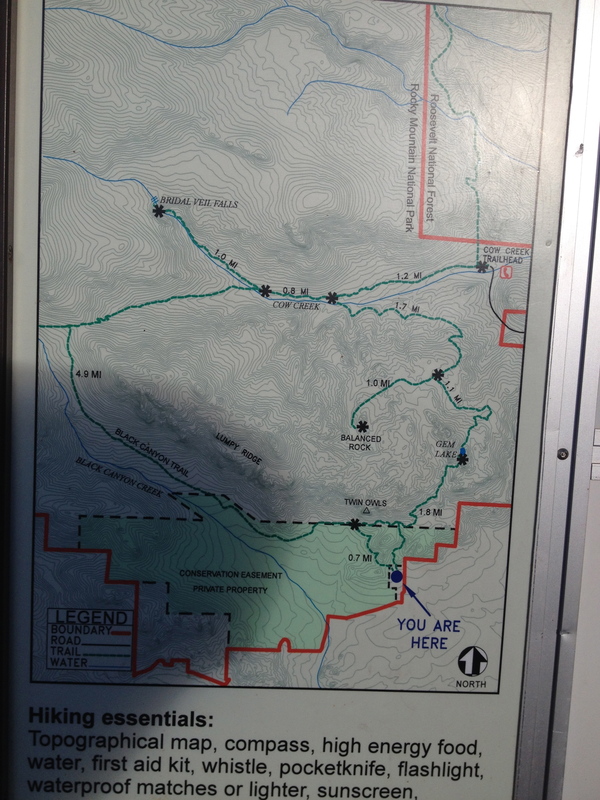 I had a first on this hike…. 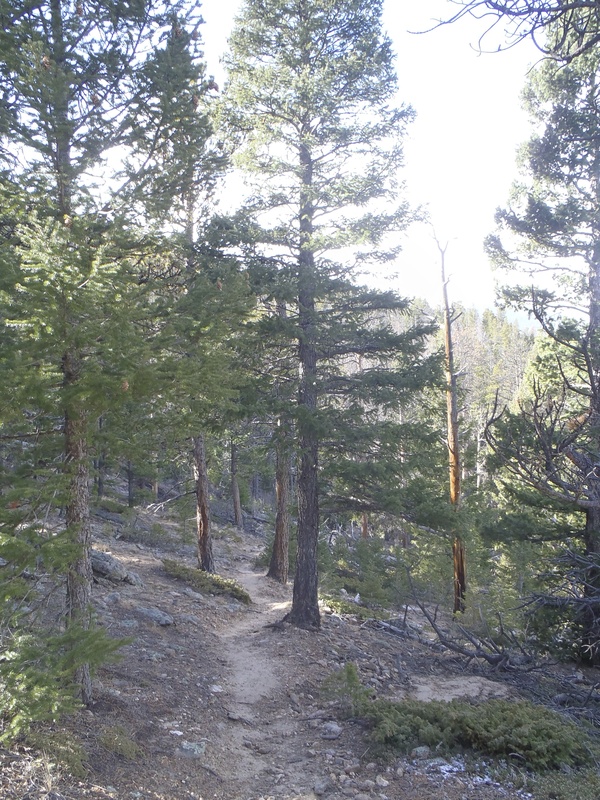 I actually took off my pants on the hike to put on long underwear, thank goodness we didn’t see any traffic ….because that would have been quite a show. 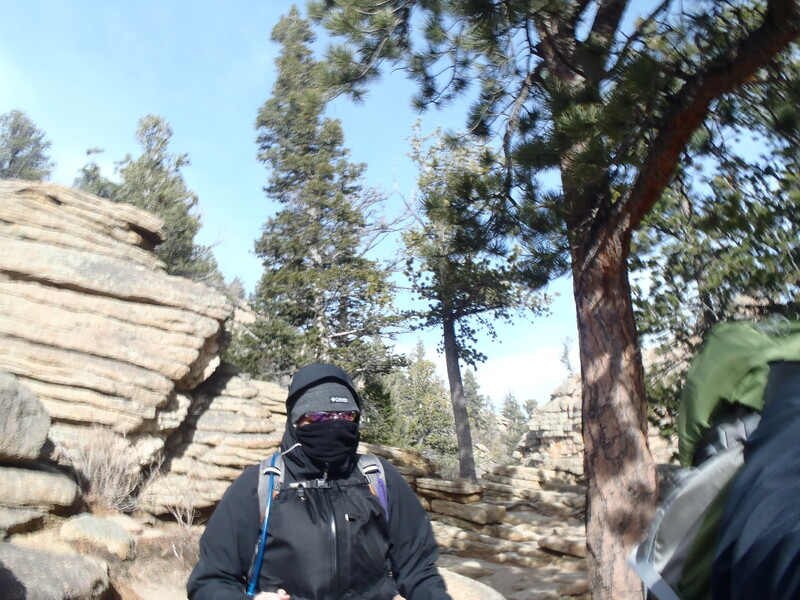 It was crazy insane cold taking off my pants but I can tell you it saved me for the rest of the hike. After putting on those extra layers on, we started moving at a good pace but steadily down with a few small ups. Having never done this part of the trail before, I can’t say for sure but it seemed like there was some damage from the floods it was still easily hike-able with little worry about a lot of risk. 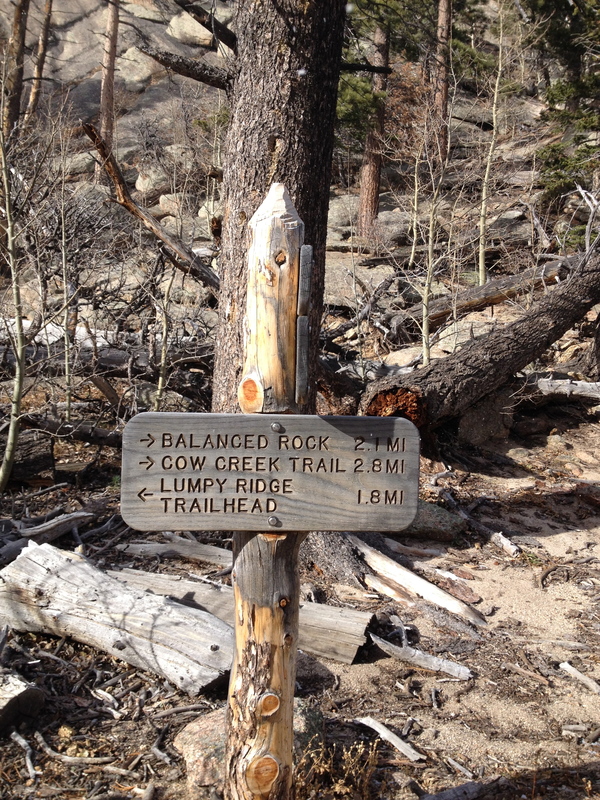 We did 2.8 miles out to the Cow Creek trailhead and then headed back. I imagine the views on the way to Cow Creek are usually pretty astounding, but they were mostly obscured by the storm moving towards us. Even so it was amazing to behold. Climbing back up to Gem Lake was beautiful and getting back to the lake was interesting in that the wind was twice as bad as it was a few hours before. Once we pushed back through the wind, we hung out in the shelter of trees and rocks for a few minutes just to marvel at ferocity if the wind. On the way down from Gem Lake we saw a lot more traffic but nothing like there is on a good day. 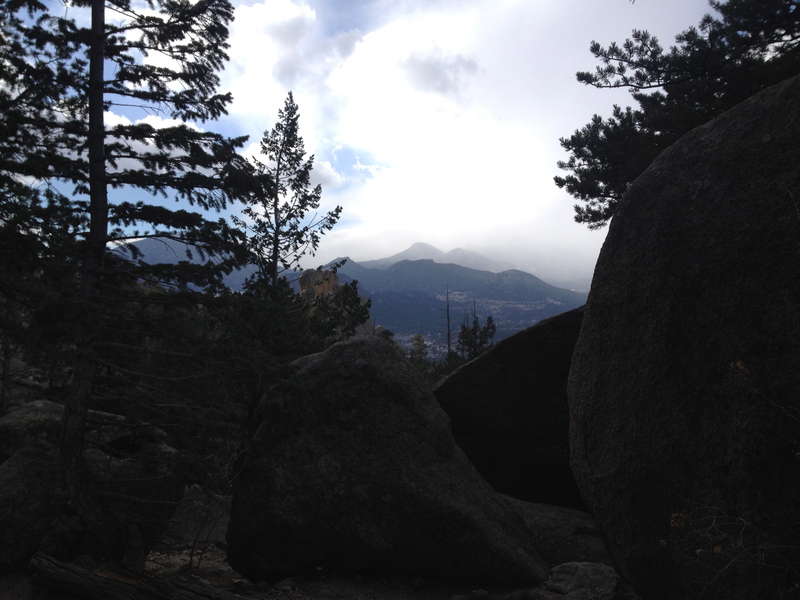 Upon finishing the hike, we quickly drove over to Estes Park and hit a few stores to spend as much as we could afford. Those owners were crazy appreciative. 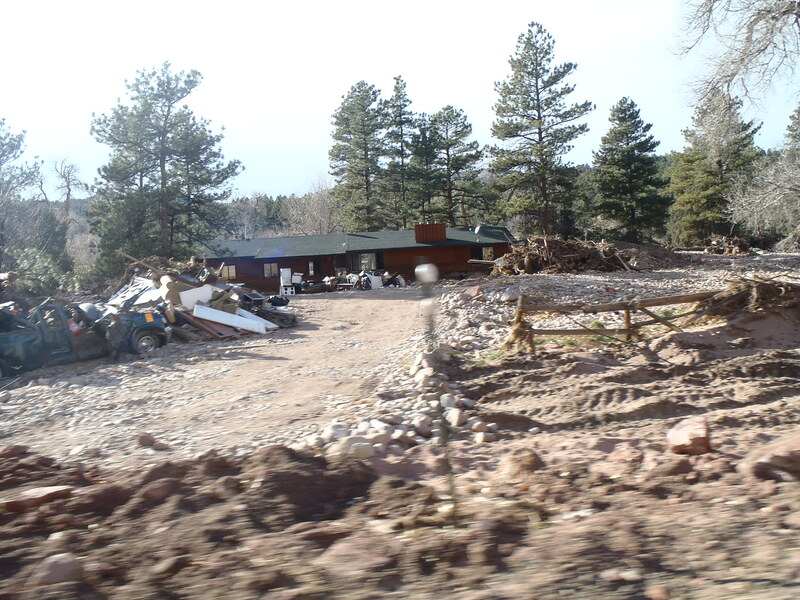 Driving back, I was able to be the passenger and take in the damage from the floods. It was heartbreaking, I don ‘t know how all those people are coping and moving forward. 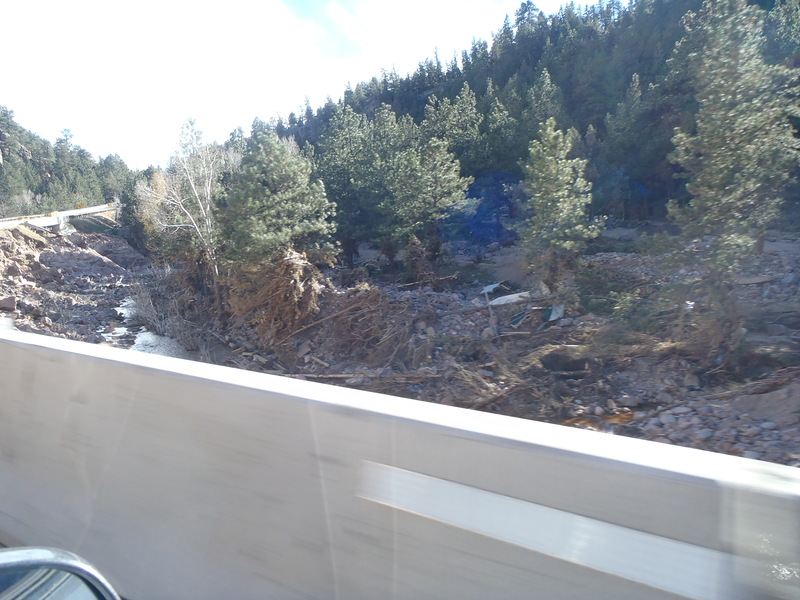 There were pieces of route 36 on the other side of the St.Vrain Creek, so much debris or trees with guard rails wrapped around them….. it was weird and sad and hopeful. I don’t know if you ever find yourself close to these communities, but if you do please spend some money and help out these small businesses. They are hanging on by threads and struggling to make it through this mess. I caught a few pictures of the damage and a few favorites……. Me at Gem Lake on the way back… Man those winds are cold! Wow, now that’s bundled up against the wind! It was crazy windy at the tope just needed to be that bundled there and quickly peeled off layers on way back down. It is the first time I ever thought about turning around because of the wind! It is very sad the state of things up that way, you would be shocked to drive up 36 today…. I am so glad your mom and brother are all right! It was such a tragic flood! I was glad I could help in a very small way. To be honest I am thinking about those survivors constantly and hoping tomorrow is a better day for them all! Happy Birthday! We’ve been following your adventures since we met you guys on James Peak – very impressive! BTW, you and I (Mike) share the same birth date. Our tradition is to pick a high hike on or about the 1st that generally is miserably windy and cold … This year, was Flat Top Mountain in RMNP. Seems that the miserable ones are the most memorable. Here’s to some GREAT memorable hikes in the next year! Happy Birthday Mike!!!! We were just talking about you and your lovely wife this weekend and how can we get to where you are! 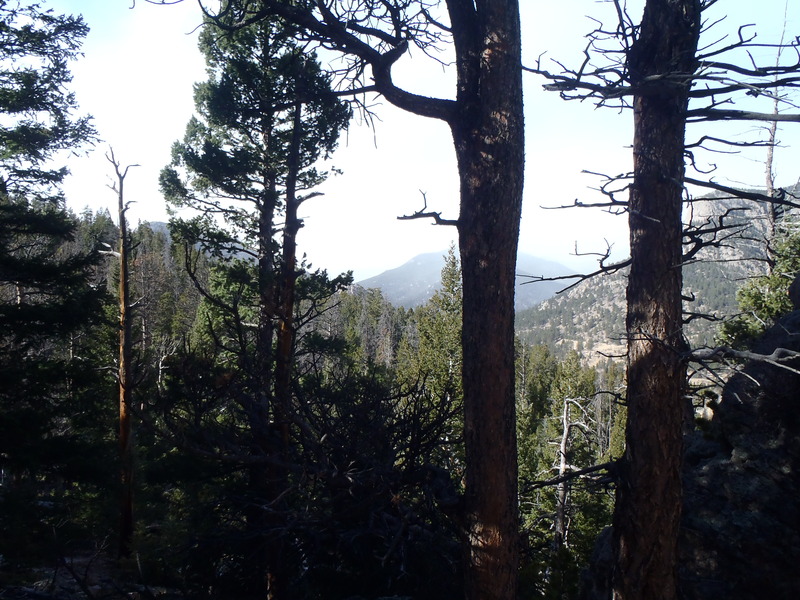 We have had a bit of a slow down on our elevation hikes, but we did get out and hike a ton this weekend! I am hoping we can do some snow shoeing this winter to keep us up high! I agree that the most miserable ones are the most memorable and eventually favorites! Thanks for checking out the blog, I hope we run into you both again soon!